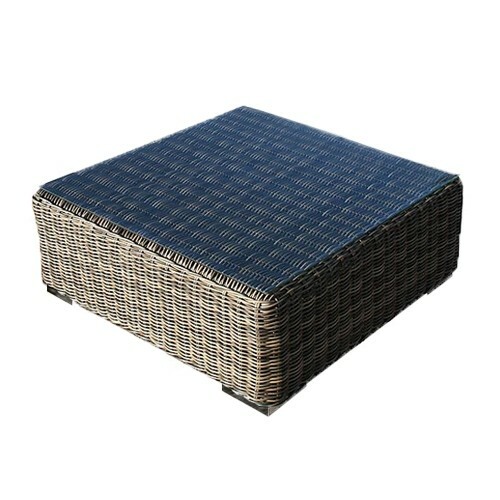 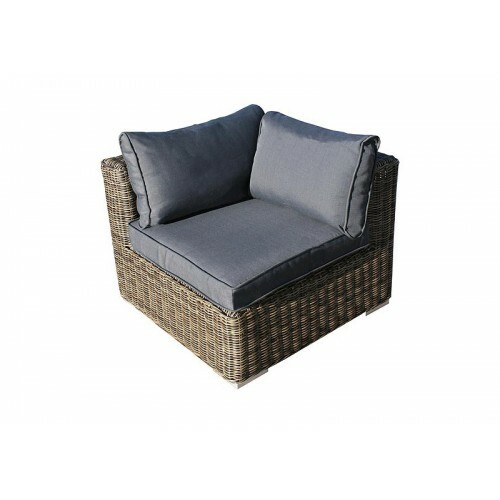 Try tailored outdoor living with the modular garden furniture range from the Mayfair collection. 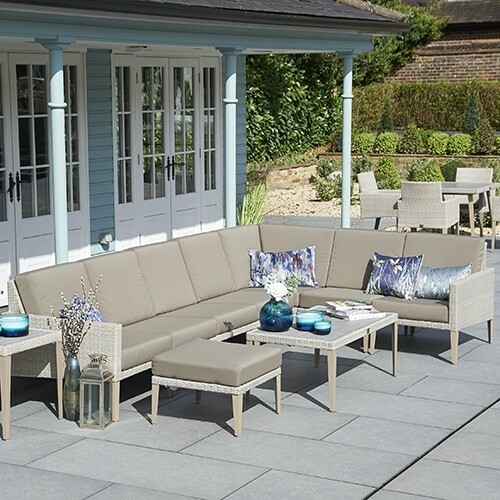 This adaptable collection allows you to construct a comfortable space to suit your lifestyle, whether it’s outside on a deck, by the pool or under cover in a conservatory. 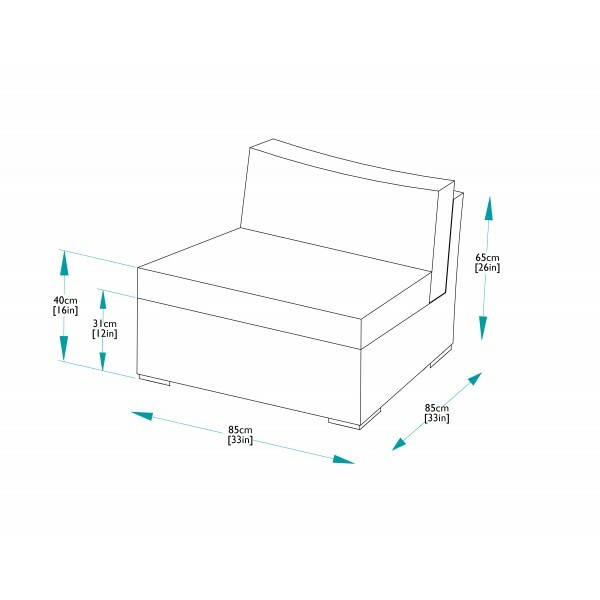 With this modular sofa, you can link it with other items in the range using the brackets provided, and produce a seating area of limitless size and a wealth of combinations. 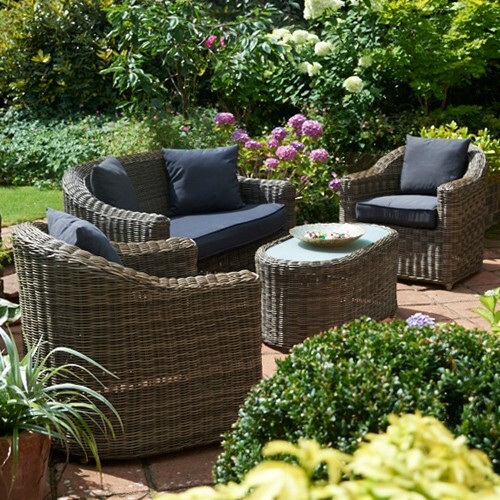 Each item in the range showcases Mayfair’s olive coloured rattan woven around sturdy aluminium frames for reliable strength. 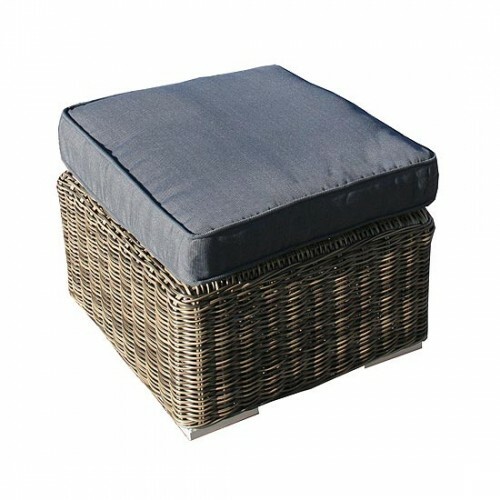 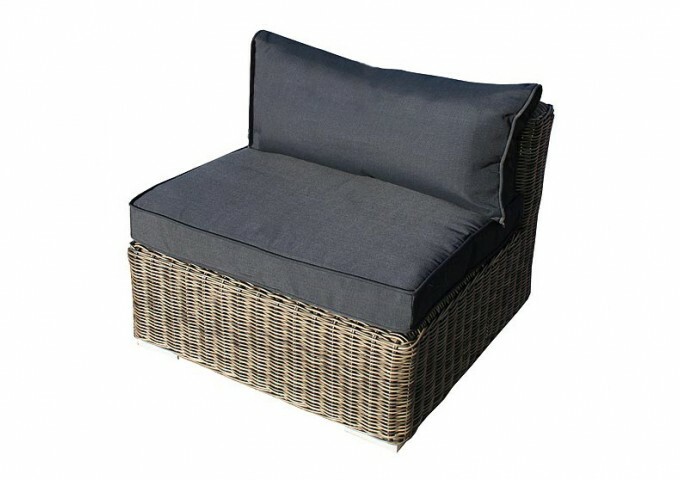 The construction is completely weather resistant and easy to clean so you can effortlessly keep your garden furniture looking its finest. 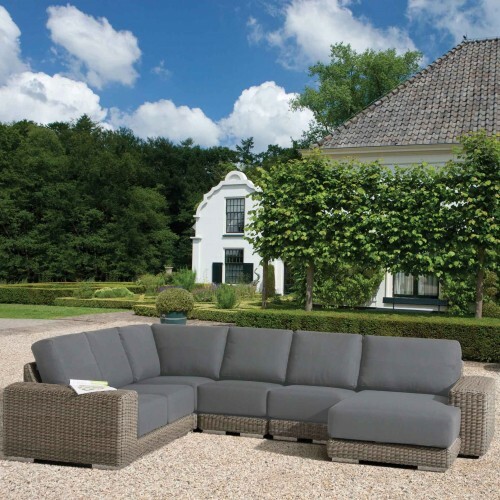 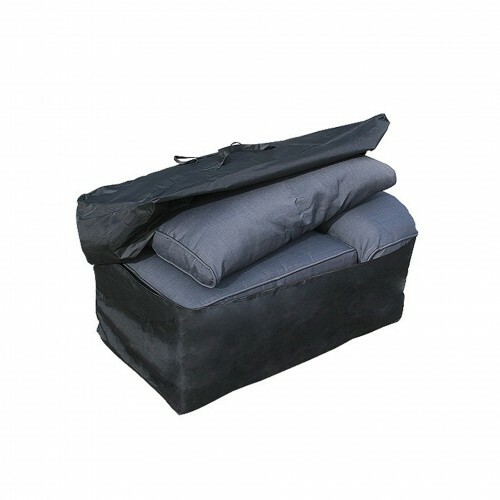 This modular sofa unit comes with padded cushions in smart grey covers for sumptuous comfort. Please be aware that Mayfair Cushions are not waterproof and we advise that they are brought in during wet weather. 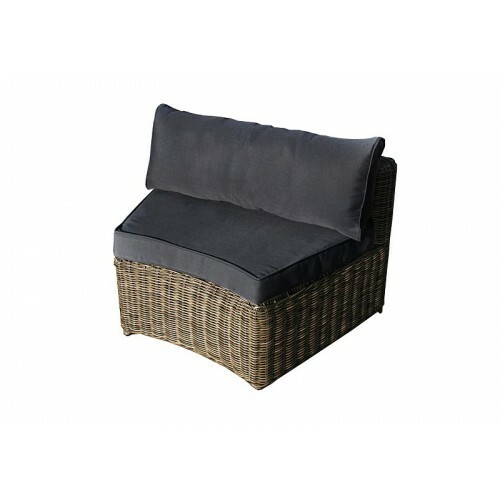 The cushion covers are removable for cleaning if required. 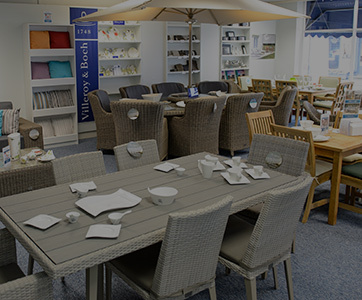 To underline the confidence that we have in the quality of Bridgman Wickerline furniture, this product benefits from an extended 3 year domestic guarantee. 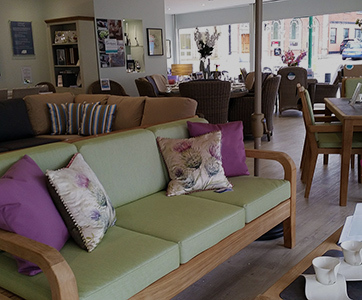 "Excellent service and delighted with the furniture." 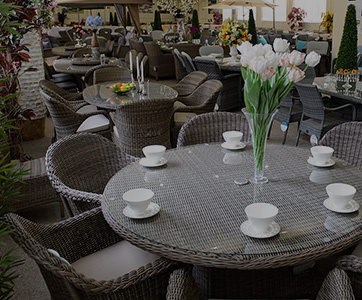 "Excellent quality product and service. 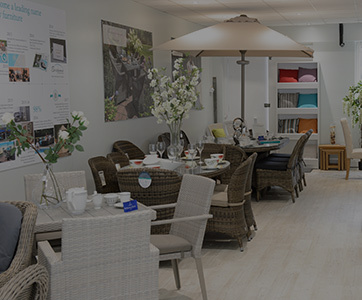 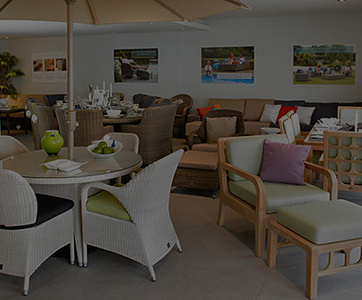 Would highly recommend Bridgman to anyone looking for garden furniture"
"Mrs. Callister was pleased to learn about the refer a friend scheme as they live on a new housing development and are recommending friends to come to the showroom."